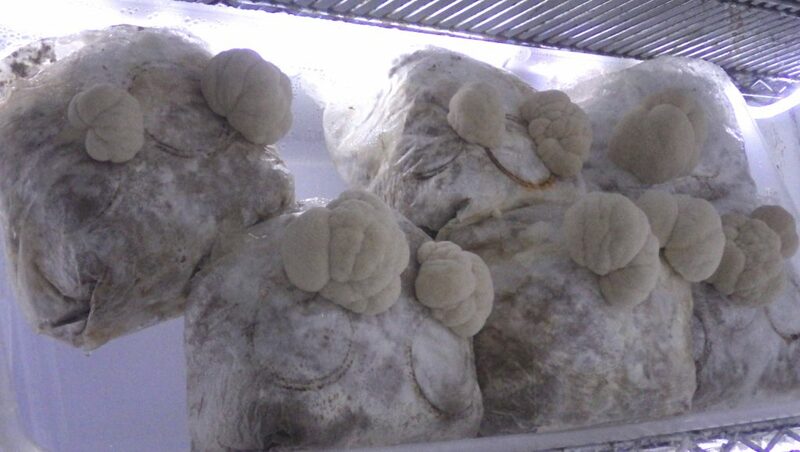 The lighter colored media (six bags in a tray and four on a shelf below it) are our first testing of Hericium abietis. They are just starting to fruit. 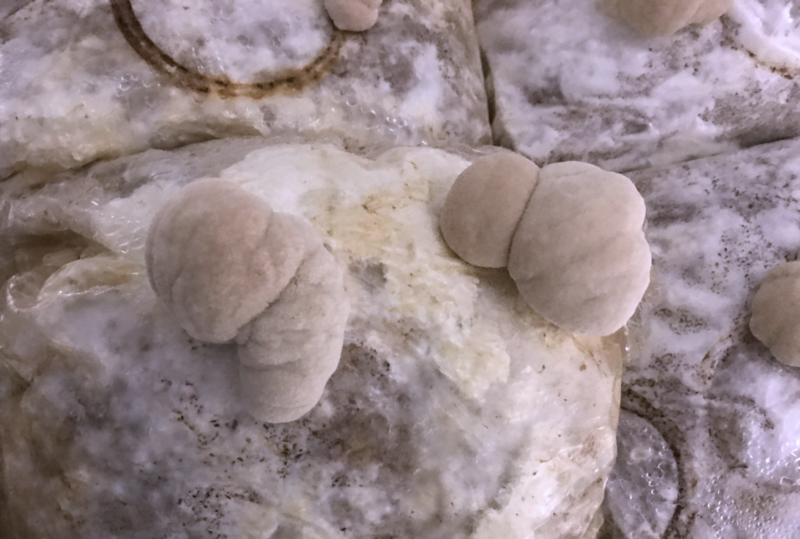 Rather than creating a new post, here is a closer look at a couple of the Hericium abietis on the 26th of March. 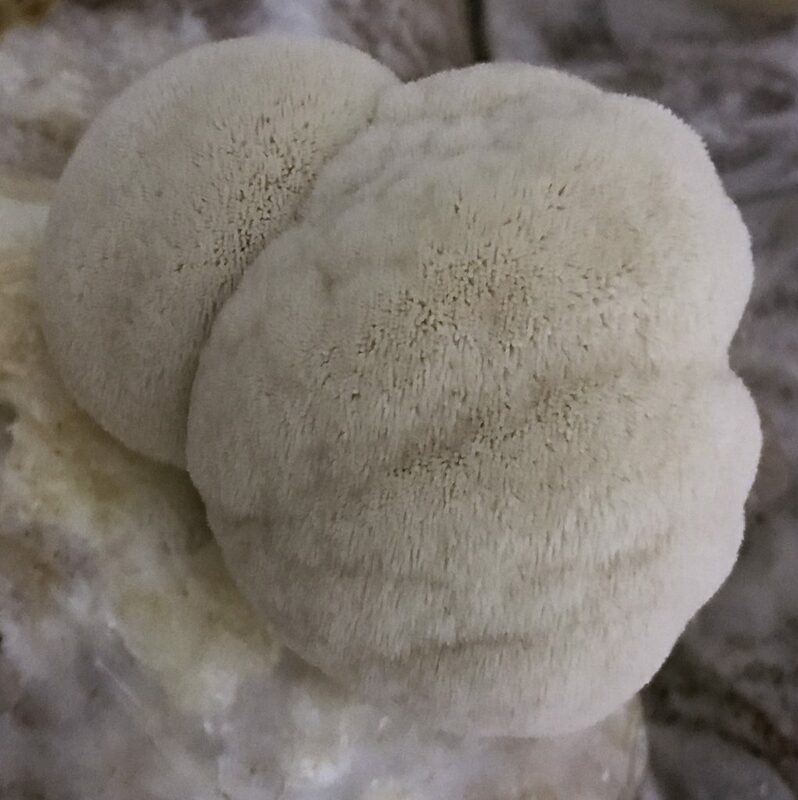 And a look at the Hericium abietis on the 29th of March. ← Spring is almost here!